In order to start a website, regardless of its nature and purpose, you need two things: a domain name and hosting space. We at WebHostingBuzz provide both. Most of our hosting plans come with free domain name registration, so that you don’t have to worry about one or another and get everything in one place, and at an excellent price. We will be using WordPress for our blog in this article, due to a number of reasons, the top ones being its flexibility and user-friendliness. WordPress is also one of the most popular and widely used site scripts out there, let alone its usage for blog sites. Let’s cut short to the installation. When you sign up with WebHostingBuzz, you receive a welcome email with control panel login details. Just click on the login link provided in the email and use the supplied credentials to login to cPanel. 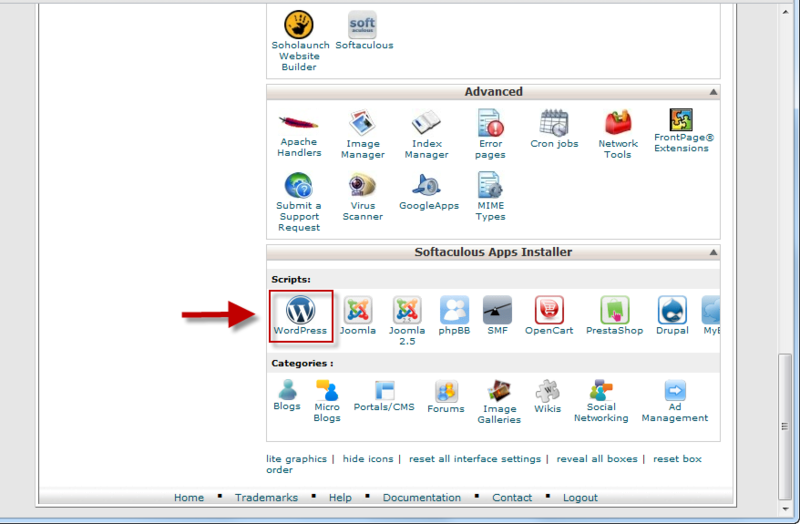 This will open Softaculous auto installer software, which allows you to install dozens of popular site scripts in seconds. 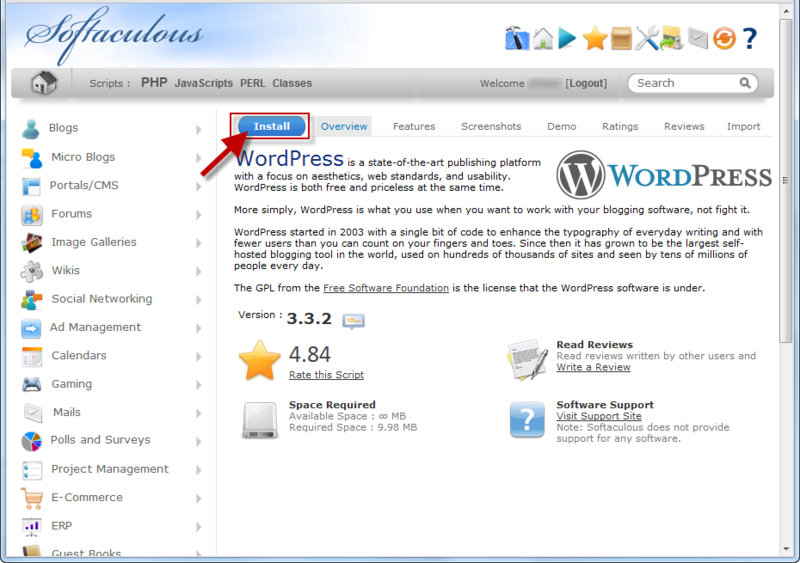 The WordPress will already be chosen, so you only need to click install. 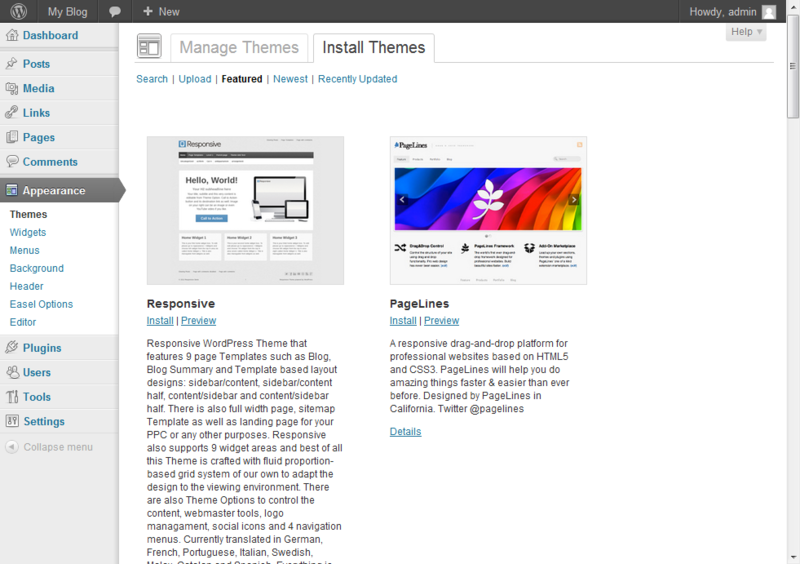 You will be greeted with the default WordPress page. 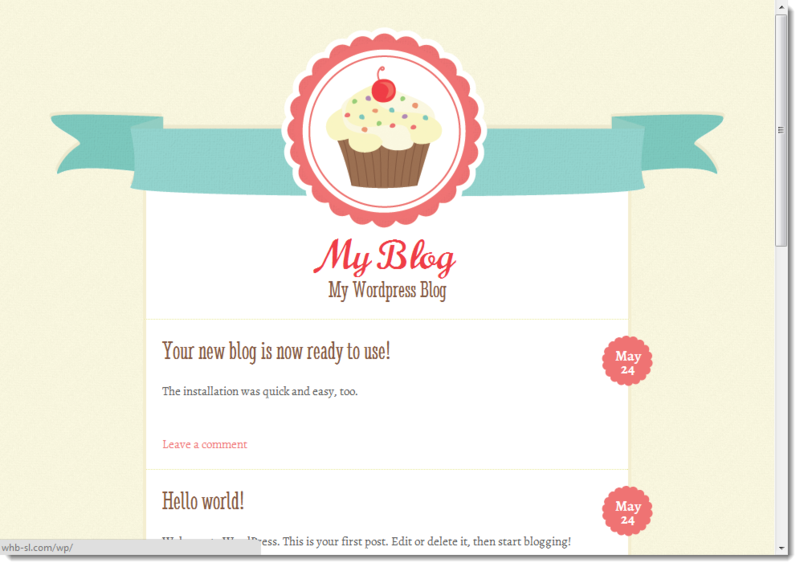 Now, let’s customize your blog. 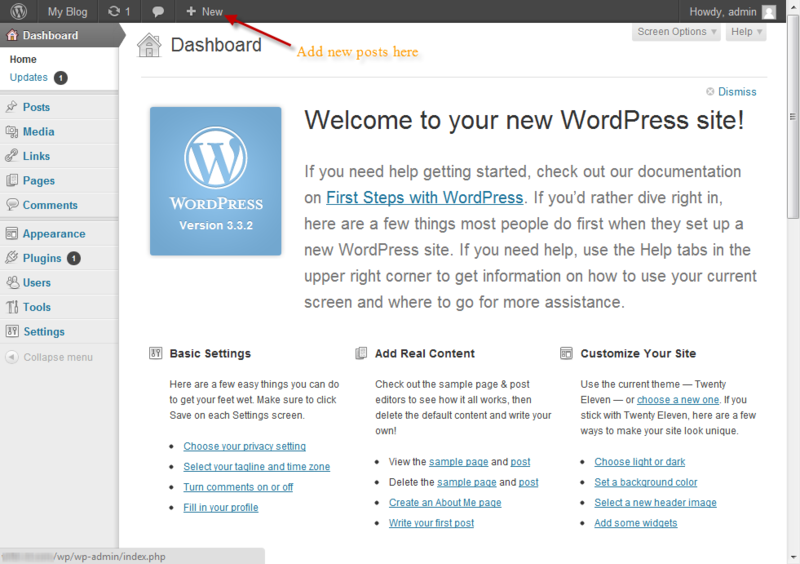 You can start posting right away by clicking on ‘New’ button available in the top menu bar. 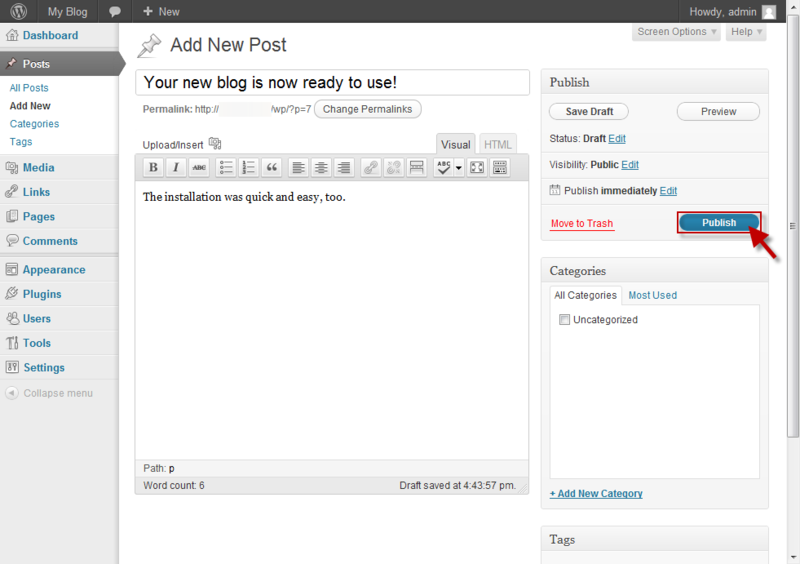 Click ‘Publish’ in order for your post to appear on the site. 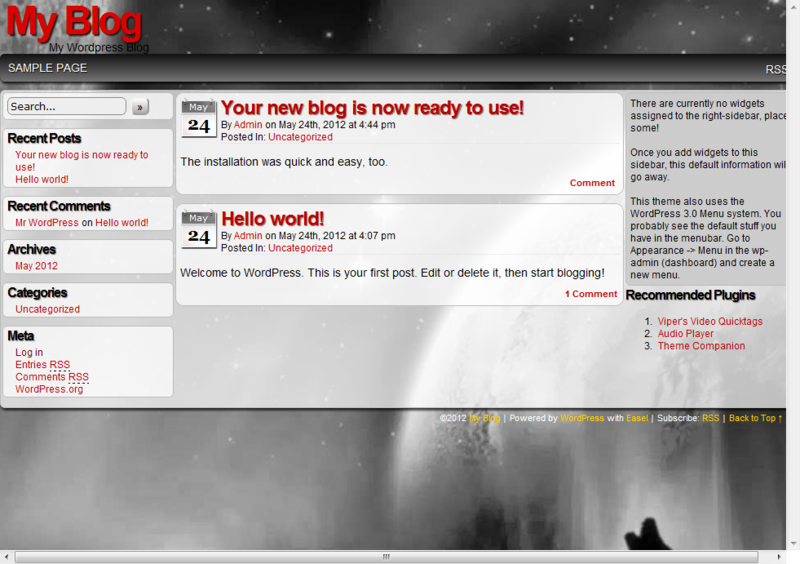 Now, the only thing left is to customize the appearance of your WordPress blog and you are good to go. This can be done in ‘Appearance’ section of the admin menu. Hundreds of free themes and widgets are available there which will allow you to make your site look completely different and unique. Browse through them and you will surely find something useful. Should you have any questions or difficulties, you can always contact our Live Chat Support. We are available 24/7 and are always glad to help. 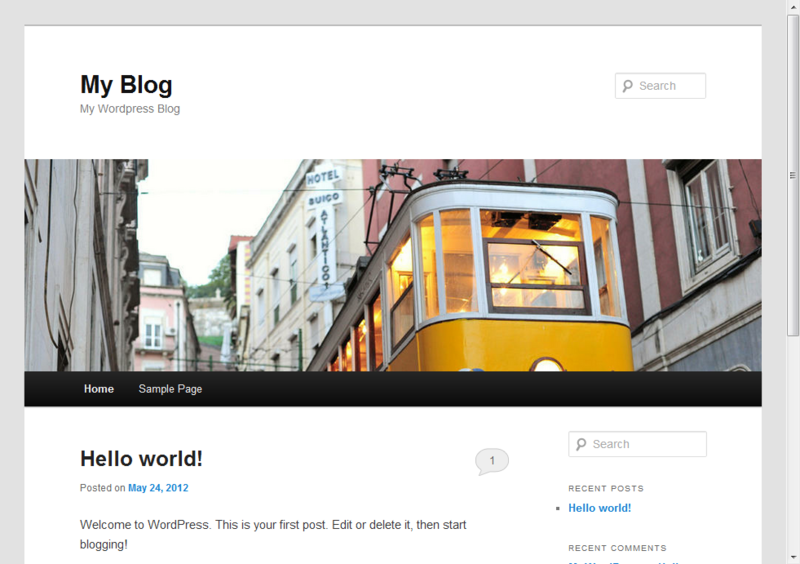 Share the post "WordPress Blog in 5 Minutes"